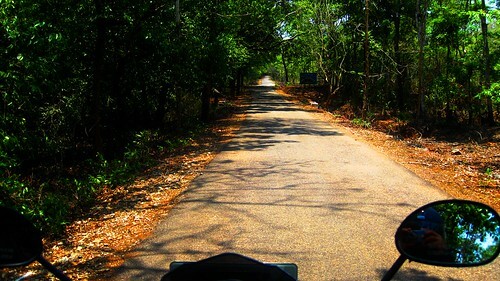 Today is Day 3 of the 7 Days 7 Posts resolution I took to catch up with the pending posts on the blog and this travelogue is from my West Coast ride and follows right after the happening night I spent in my tent at Apsara Konda beach. Known for the picturesque black rock formations, about 60kms from Karwar, Yana rocks should be a must visit spot on your trip to the West Coast. 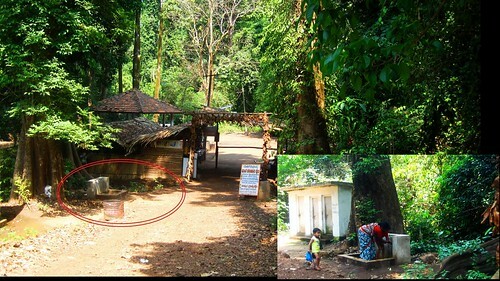 They are famous for the cave temple dedicated to Lord Shiva where naturally formed linga is situated. It was a very pleasant early morning ride from the Beach to Yana rocks, on good tarmac and corners which I exited with a beaming smile on my face while the coastal wind blew past me all the time. I reached the turn to Yana rocks and halted to confirm if this was the route to be taken, because it looked quite offbeat as you see above. 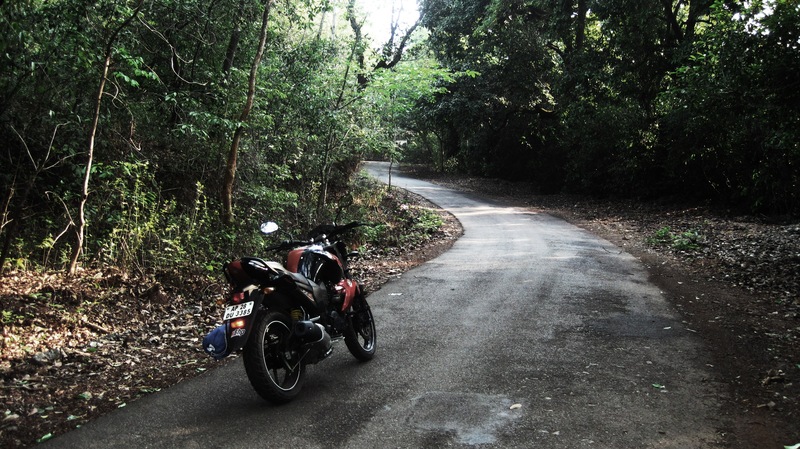 The board said it was and so I started the 15 kms stretch through this road with forest on either side. 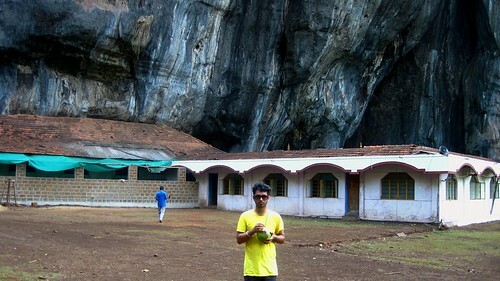 It was a little too freakish and the boards in Kannada with pictures of leopards and snakes were also not very helping. But the ride did end as I reached the beginning point of the trek. Some travellers had just come back from the trek and were savoring the tea from the only shop available there. I trusted the same shopkeeper with my helmet and tent and started on the trek to the temple. Accessible through Sirsi as well as Gokarna side, Yana rocks can be reached in a very economical mode- the Govt. run buses. 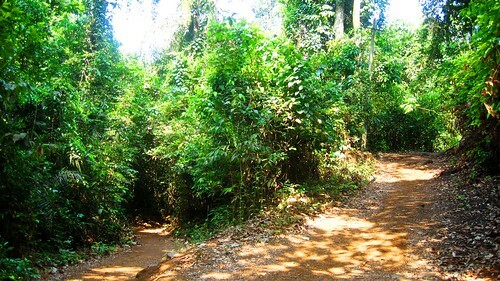 The trek itself is just 1.5 kms one side, you can opt for longer routes but roads have been developed now. Be watchful of the leeches, if you’re going in rains. 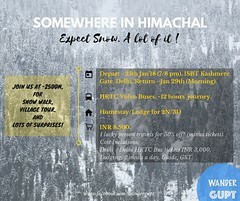 Try not going solo, as the 15 kms stretch I mentioned or the trek itself can be daunting when you find yourself alone with the forest around you. It was interesting to be all alone following the only path which was narrow, took exciting turns and was run over with water from small streams and waterfalls at some occasions! There were birds making all the sounds they make: lost in their music compositions or calling for their relatives, I cannot tell. I tried some selfies, climbed some stairs, admired the nature and kept going. From the first sight of Yana Rocks, they were very impressive. 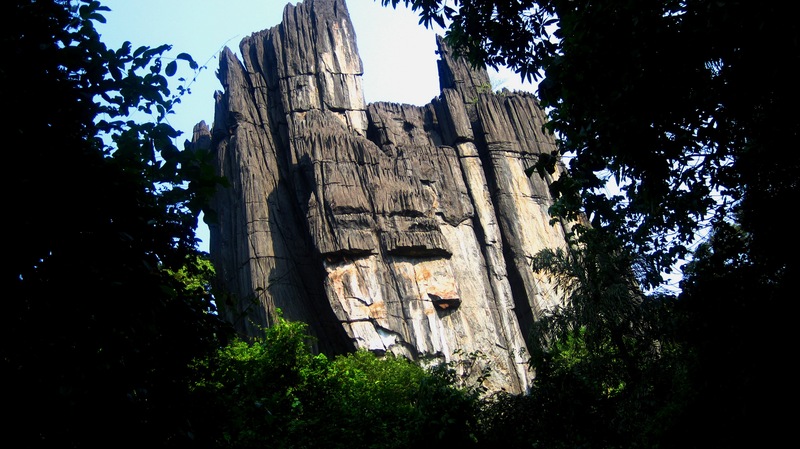 Yana is famous for the unusual rock formations made out of black limestone which was very evident. They were huge and seemed to have sharp ends towards the top, dramatic! 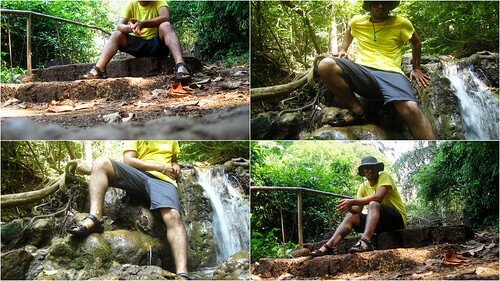 You know of those times, when you’re alone, try a 100 pics with the timer and 1 comes out right? This was one of those. Having spent the night before at the beach and then this trek, I needed a bath and what better place than you see here! You see the kid, well, I was almost like that. 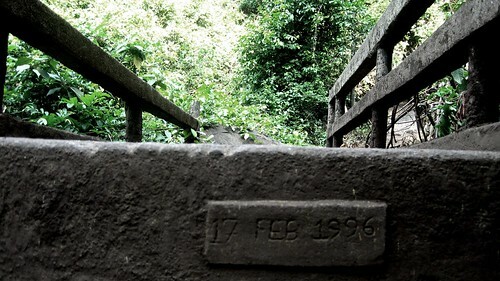 It was not a very tiring trek at the end but quite fascinating, engaging and as I mentioned earlier, interesting. And doing it solo made it even more fun but also challenging at some times! Nothing can make me more happy than that! 🙂 If you need more pointers, just drop me a mail. It is an amazing belt- Mangalore- Goa. Ya will surely get in touch with you before I go. Thank you! 🙂 Appreciate the feedback. 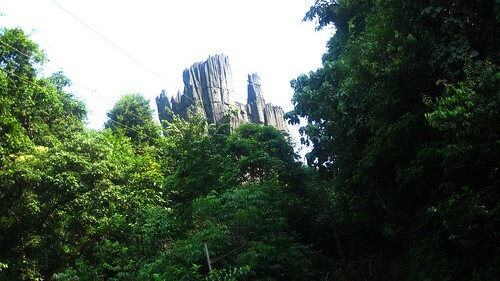 Wow…but weren’t you scared…1st few pictures…narrow roads and being alone with not so helpful signboards in kanada with pictures of snakes..
Hi, Is it easy and safe for kids (age 6-10) to trek up to the foot of Yana? Is it a rocky climbing terrain? Please advise as I’m planning to drive from bangalore with my wife and kids..
Hi Sujai. It is totally safe for kids as well, not much of a rocky terrain. I remember there were some stairs, some patches to walk, and some climbing, but not too steep, managable I’d say. 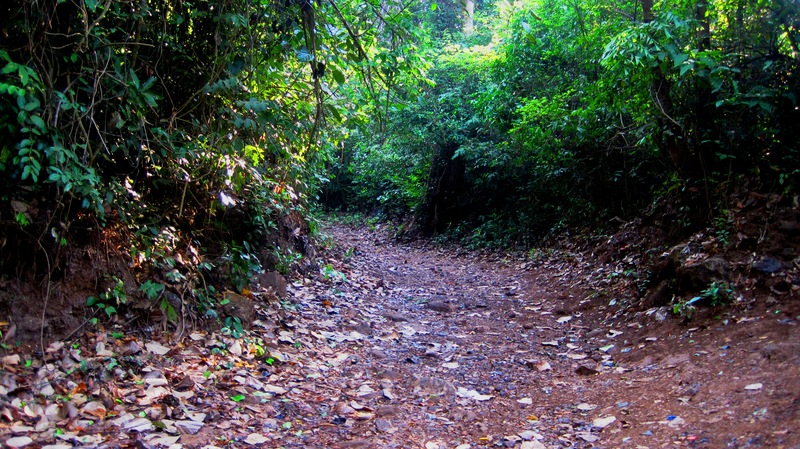 The trek from Gokarna side is shorter… around 1.5 – 2kms while it is longer from the Sirsi side, I believe.